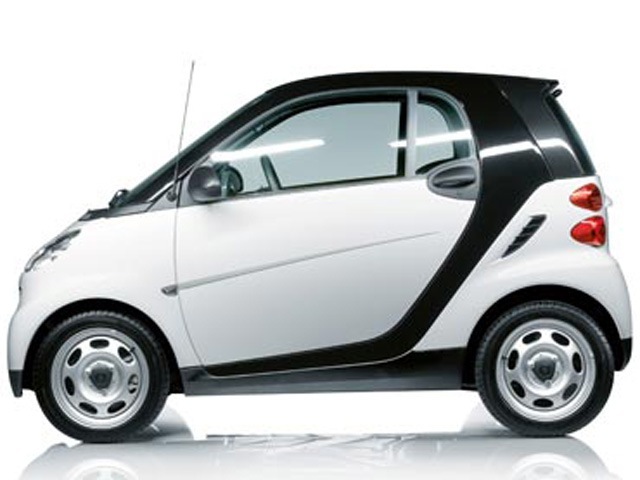 Do you have to be smart to drive a Smart car? With our weather taking a turn for the better over the last few days, the garden has been receiving some much needed attention. However, that has meant a number of trips to the local waste management and recycling site. It is truly amazing just how much garden rubbish is generated when clearing a small area and it is very fortunate that I have a large trailer. With said trailer piled high with the latest batch of branches, grass cuttings and weeds, I set off for the tip. About half a mile from the site, I saw a Smart car waiting to pull out of a driveway. I was too close, and had too heavy a load to slow up enough to allow it to pull out ahead of me, but as there was nothing behind me, I knew it wouldn’t have to wait longer than my one vehicle to join the main road. The Smart car was just about as long as my trailer. In fact, I think it would probably fit inside my trailer! Obviously not when it was full of garden rubbish. As it joined the traffic behind me, I noticed it too was pulling a trailer. This looked a little odd because the combined length was still not as long as my car. However, this combination was quite nippy, and the driver was trying everything he could to get in front of me. He had obviously seen the amount of rubbish in my trailer and decided he wanted to be ahead of me at the recycling site. The only trouble was, there was no where for him to safely overtake, and we were only a matter of a couple of hundred yards from the entrance to the site. 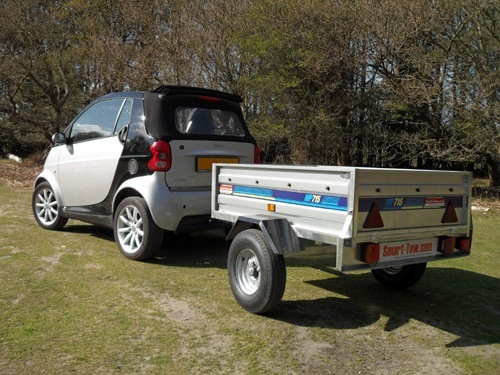 Another odd look about the Smart car and trailer combo, was that he had a ladder in his trailer which was also longer than his car and trailer put together. And to make matters worse, he had the ladder standing upright in the trailer, making it look like a mast. You are probably ahead of me by now (unlike the Smart car driver!). The ladder stood proudly about six feet higher than the car. That would be like me standing on the roof of the car as it drove along. As we entered the recycling site, all eyes, except those of the Smart car driver, were on the over head height barriers these places have to ensure commercial vehicles don’t dump their rubbish illegally. It was as though everyone there had been told to watch a slow motion replay of an earlier event. Almost everyone had spotted the impending collision as the Smart car approached the entrance. A collective clairvoyancy! The Smart car driver had not really reduced his speed, probably thinking he could pass me just beyond the entrance before joining the queue to unload, and reached the barrier in a matter of seconds. The only thing the driver had done correctly before starting out on his journey that day was to secure his ladder to his trailer with sufficient fixings to make sure it did not move. This was about to turn from being the right thing to do to being the worst thing he could have done. His upright ladder connected with the horizontal barrier. The ladder, having been secured correctly, was not moving. The barrier was a solid iron bar which had no where to go. Something had to give. Would these two immovable objects meeting mean that the Smart car and trailer would be launched high into the air and across the site? No! The ladder, being aluminium, sheared in two and came crashing down onto the bonnet of the car following the Smart car. Moments later, the Smart car driver was approached by men wearing high-vis jackets and carrying clipboards wanting to take his insurance details. His lack of patience had cost him – this turned out to be quite an expensive visit to a place to off load his rubbish for free! Categories: Light Hearted, Postaweek2012, Travel | Tags: garden rubbish, Gardening, Light Hearted, Postaweek2012, Rubbish Dump, Rubbish Tip, Smart Car | Permalink.